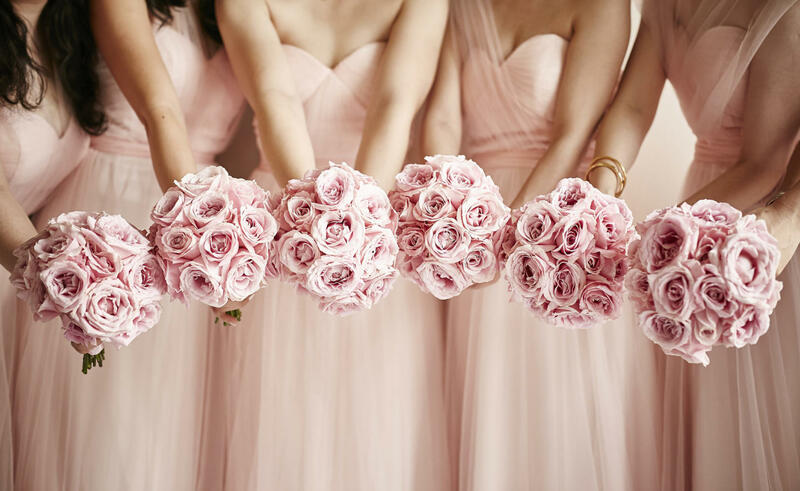 What’s a wedding without bunches and bouquets of flowers? 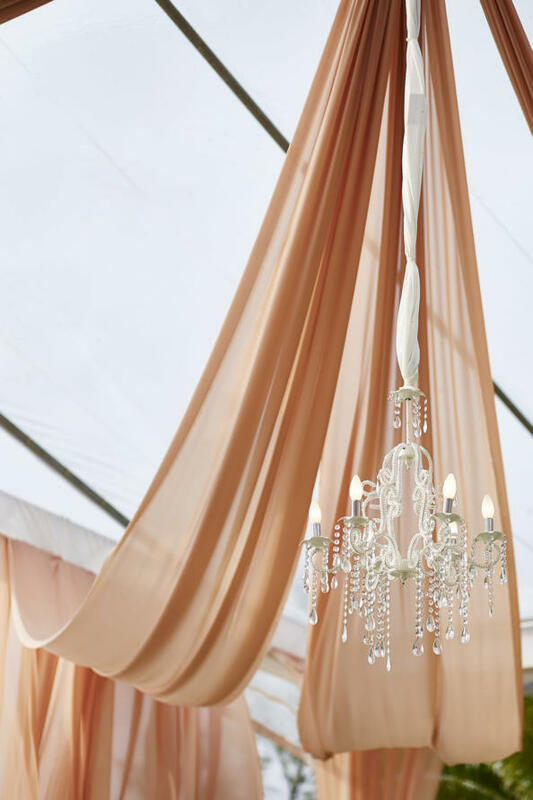 It may be simple but remains just as elegant and special. 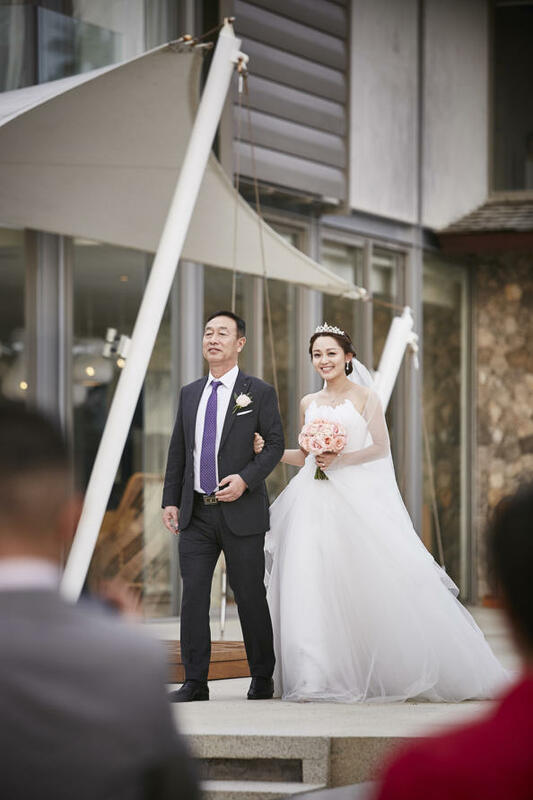 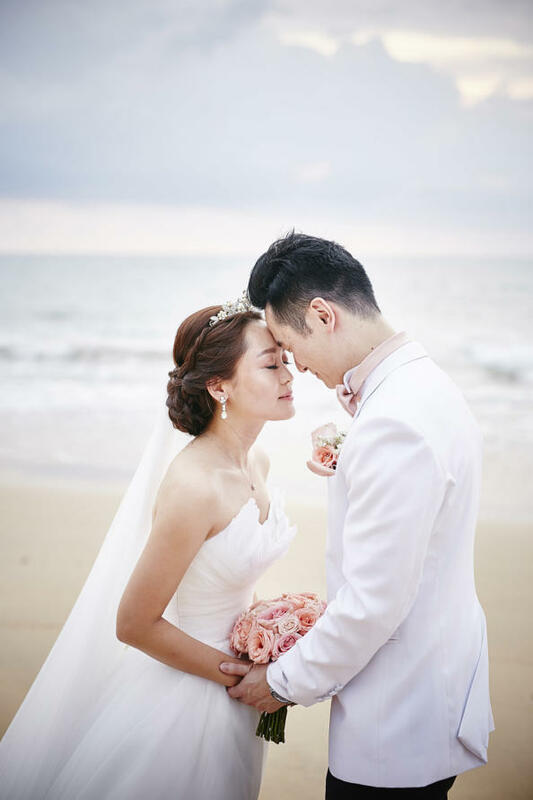 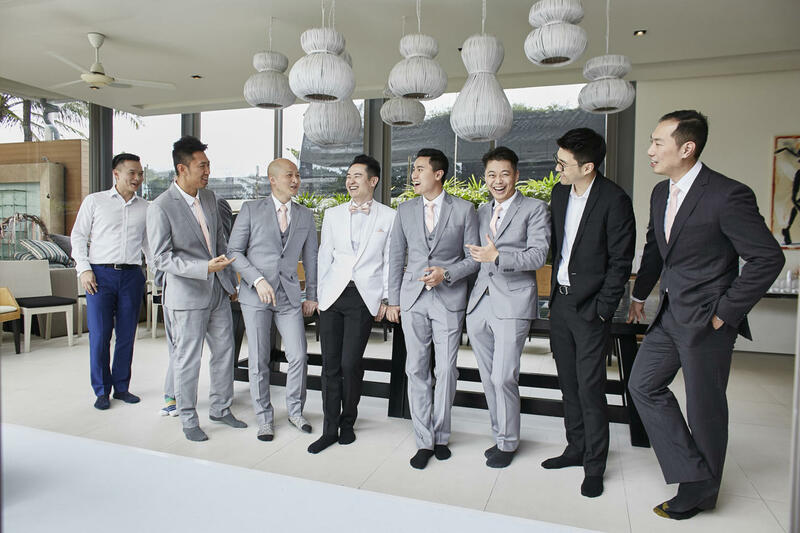 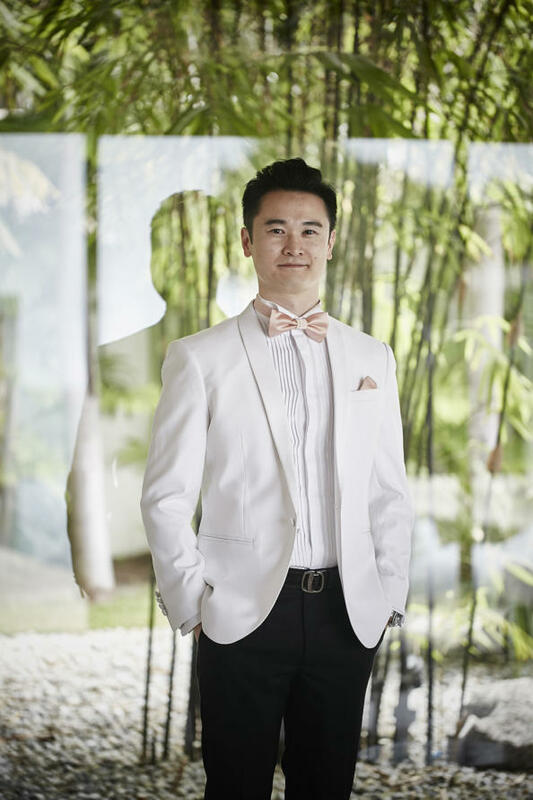 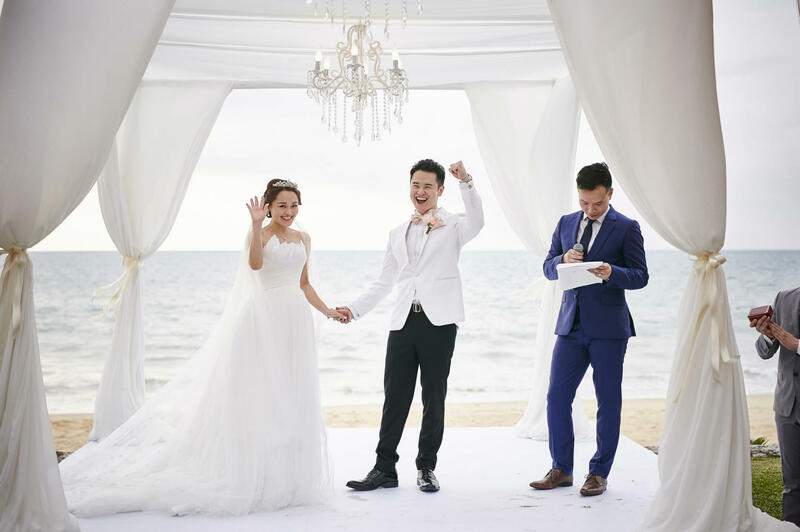 Angela Jin and Arick Tam proved how beautiful a wedding can be with lesser flowers at their Sava Villas, Phuket wedding. 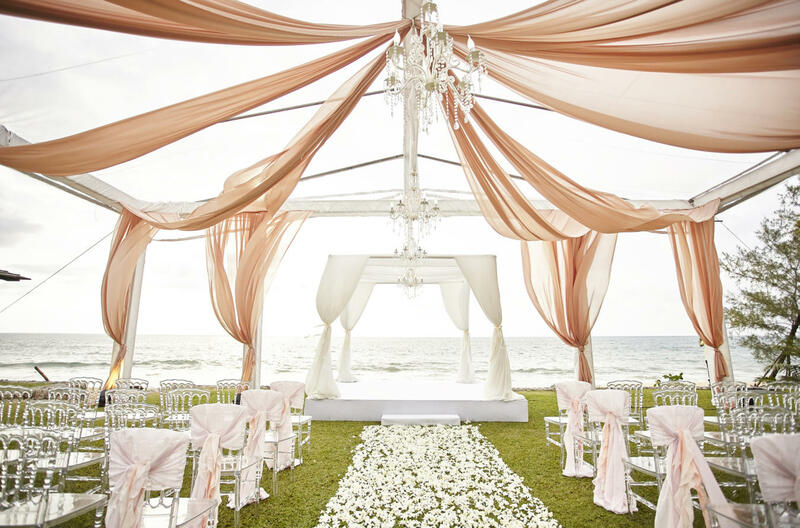 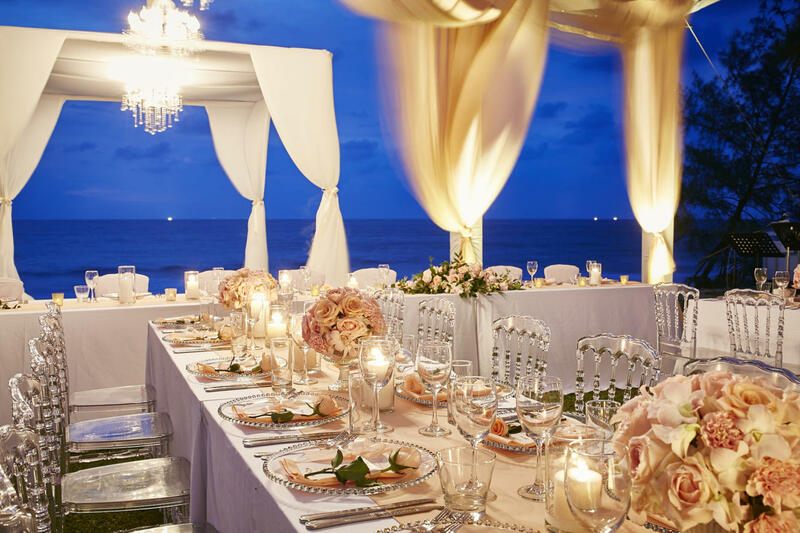 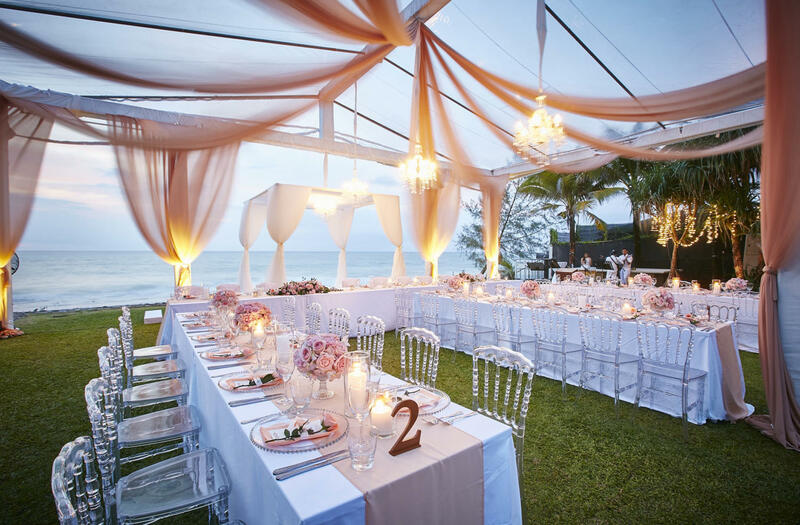 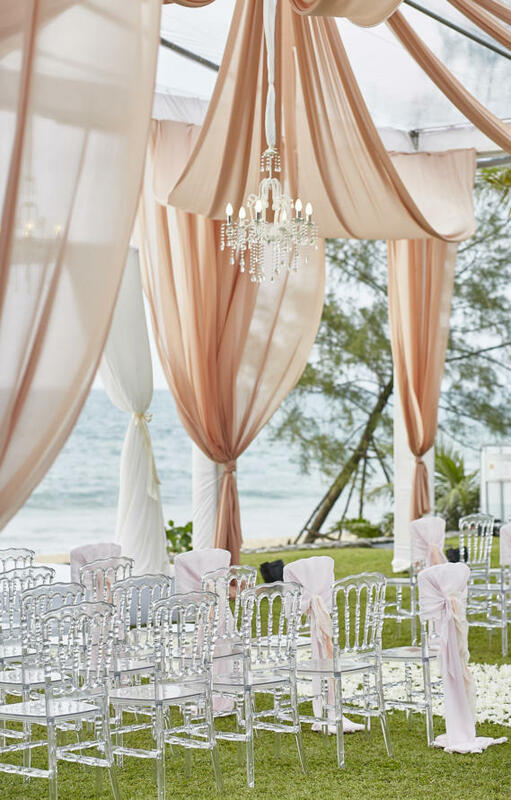 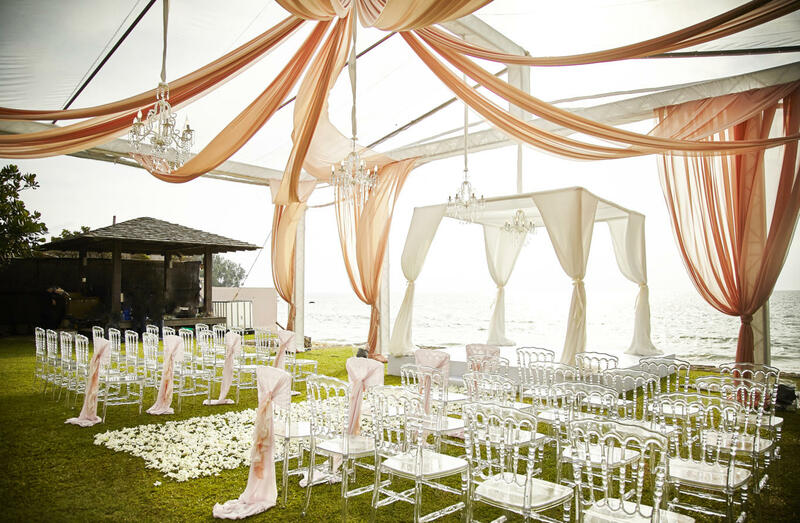 In accordance with the couple’s option for a clean design with a modern twist, wedding planners The Wedding Bliss Thailand looked to airy drapes. 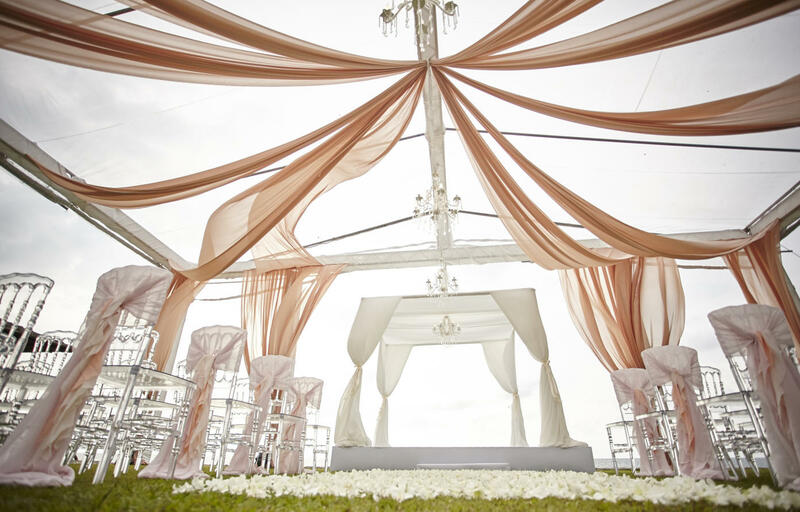 The peach and cream colour theme was the creative styling base. 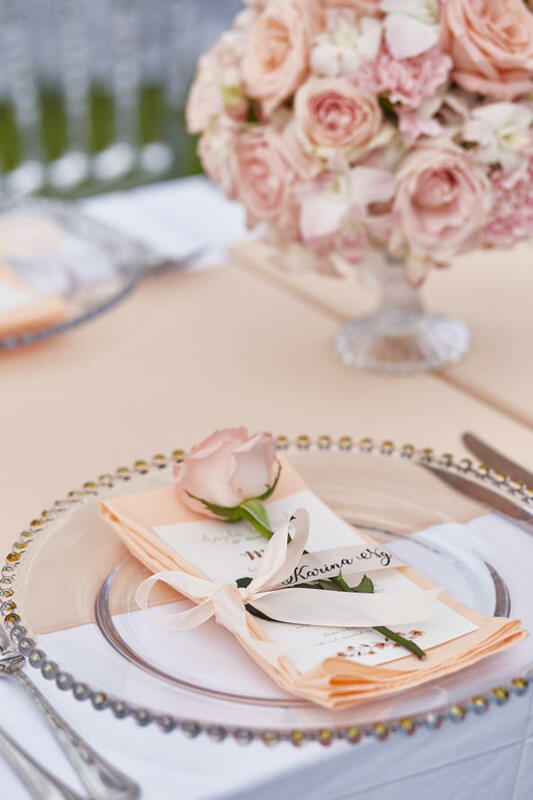 Despite the lack of flowers, the setting was sweet and feminine – just the way Angela desired it to be. 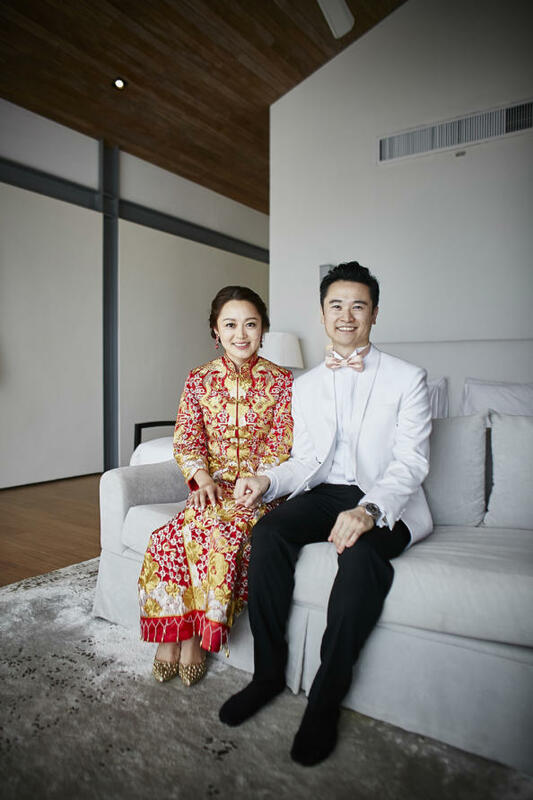 Dressed in her white bustier dress and gold studded shoes, Angela sported red dangling earrings for the auspicious occasion. 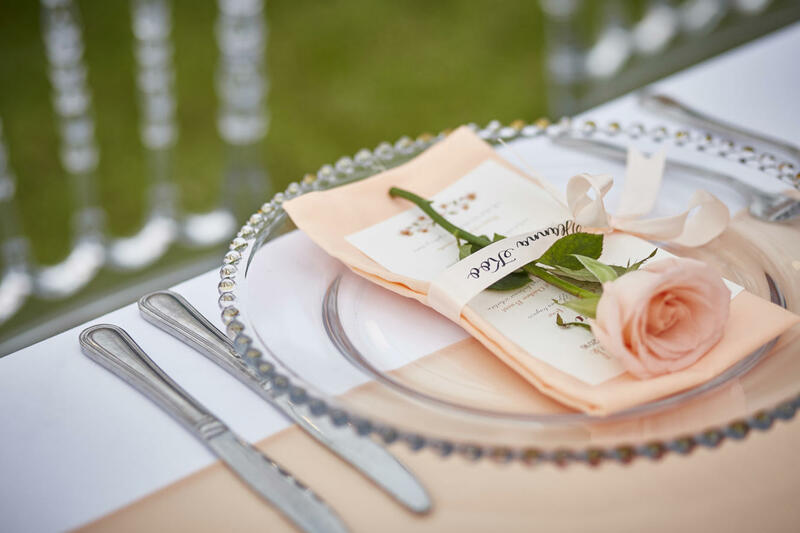 Her peach coloured hand bouquet was a beautiful accompaniment. 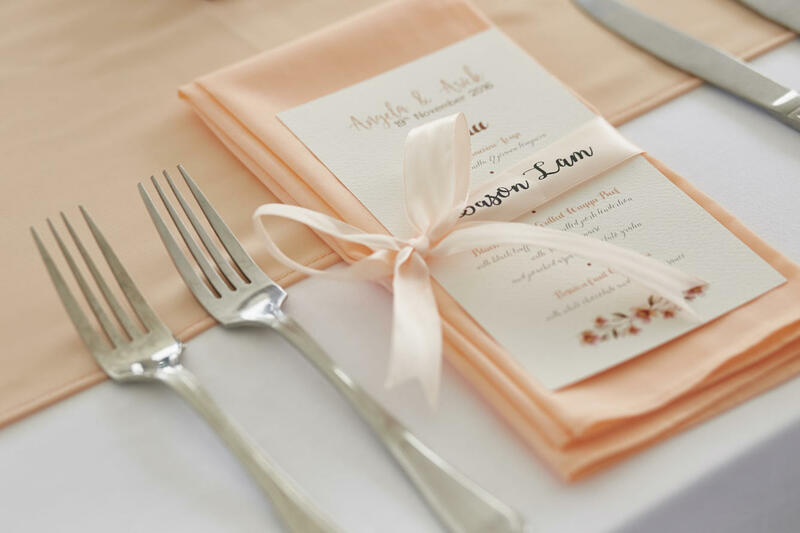 Her bridal party donned peach coloured dresses and pink hand bouquets. 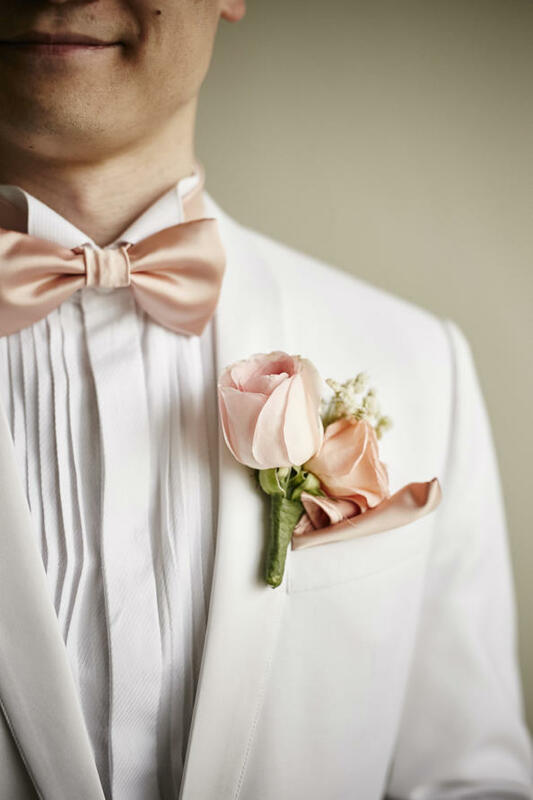 Arick chose a white suit with a peach rose for a corsage which allowed for a pop of colour. 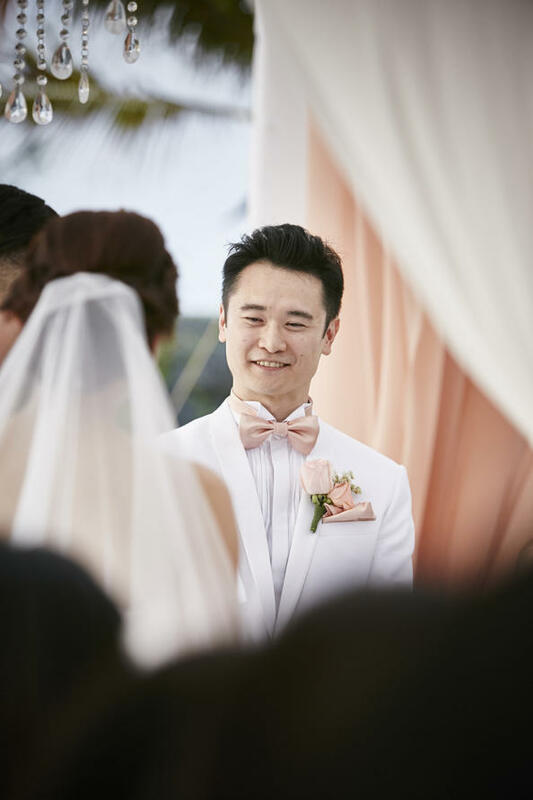 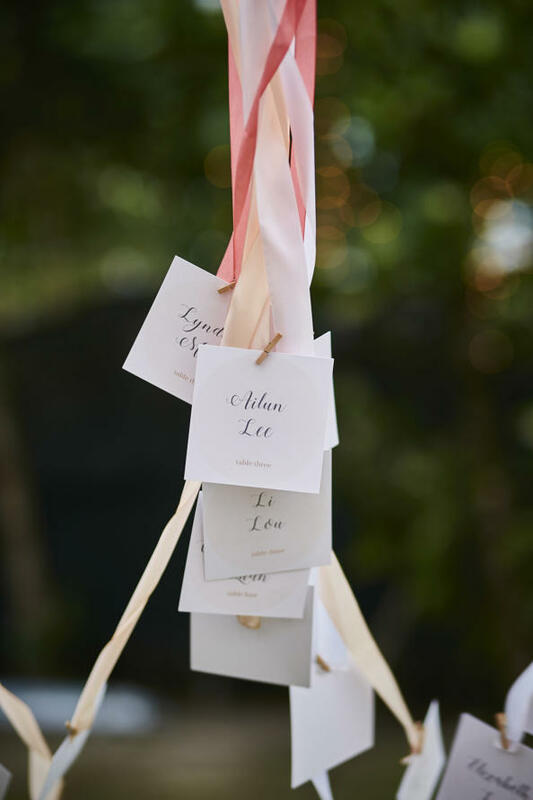 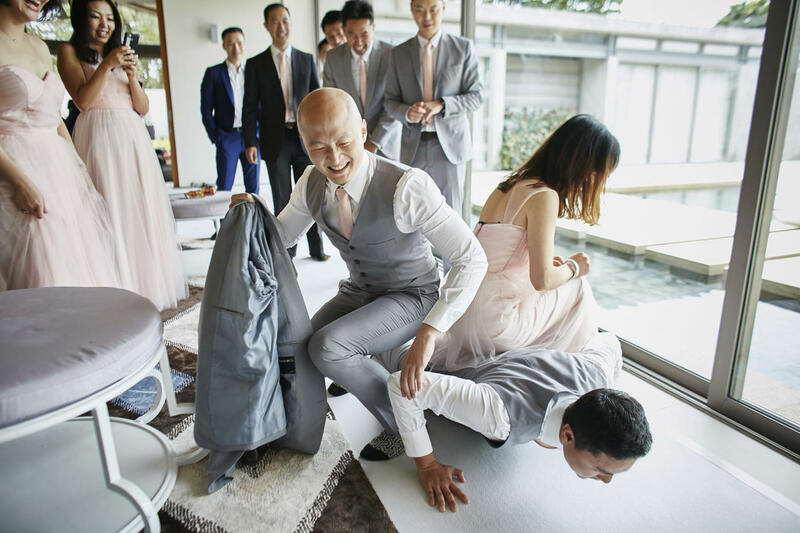 Embracing the couple’s deep-rooted culture, the morning ceremony took to a traditional ‘tea ceremony’ in an intimate setting at the private Sava Villas in Phuket. 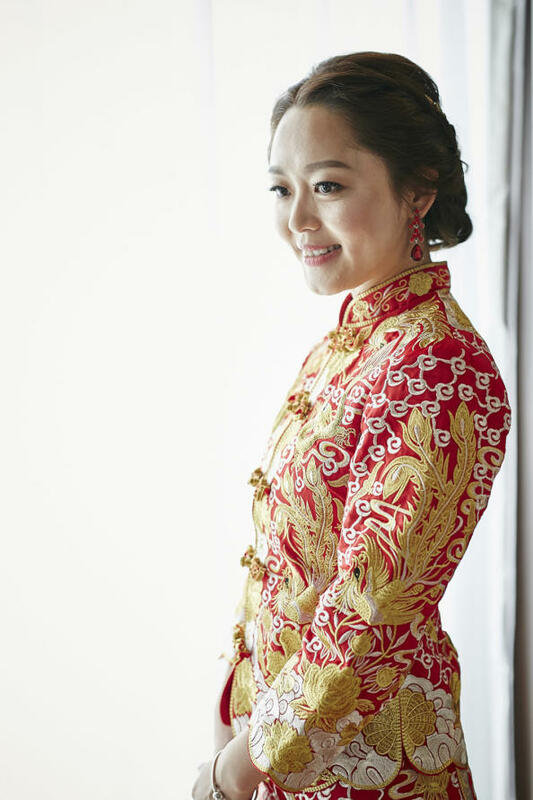 The bride steps out in her beautiful traditional ‘QunKua’, a red gown with intricate hand-embroidered coat dress worn traditionally for Chinese weddings. 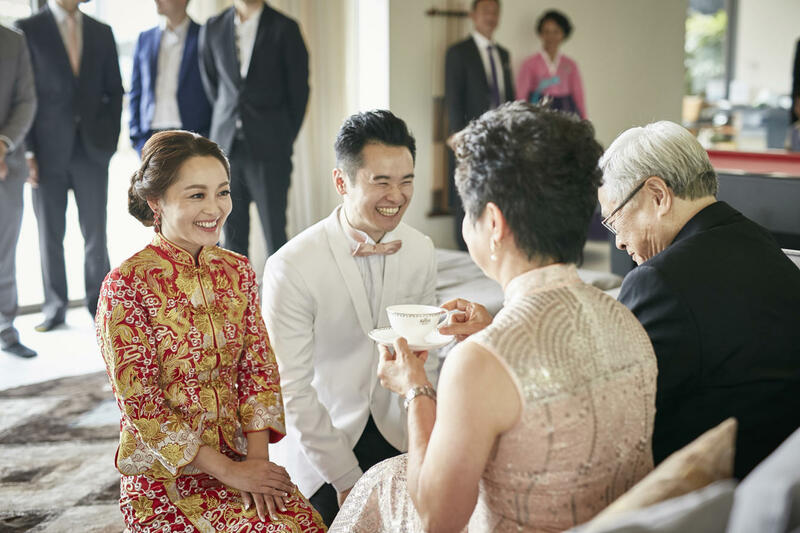 At the afternoon luncheon, after the ceremony, the bride change into her Hanbok, a traditional Korean attire of the Joseon period and is worn as semi–formal or formal wear during traditional festivals and celebrations. 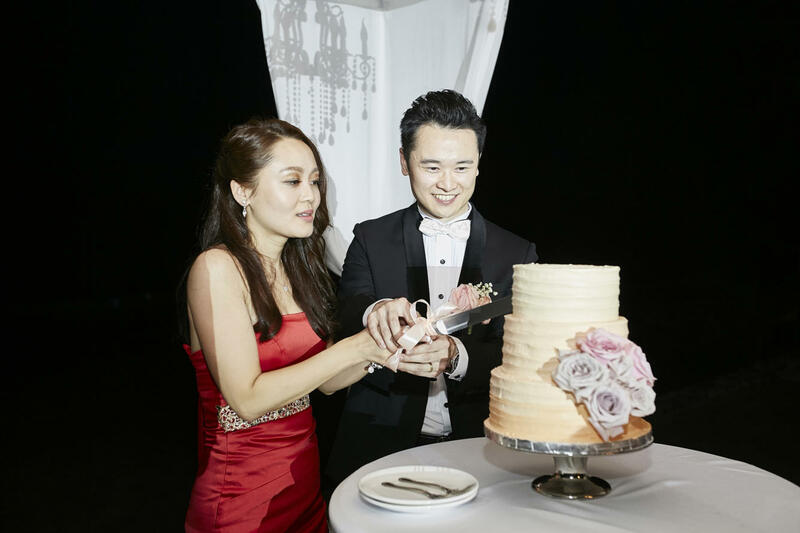 At the dinner reception, Angela wore a red satin dress with a gold-sequinned waistband. 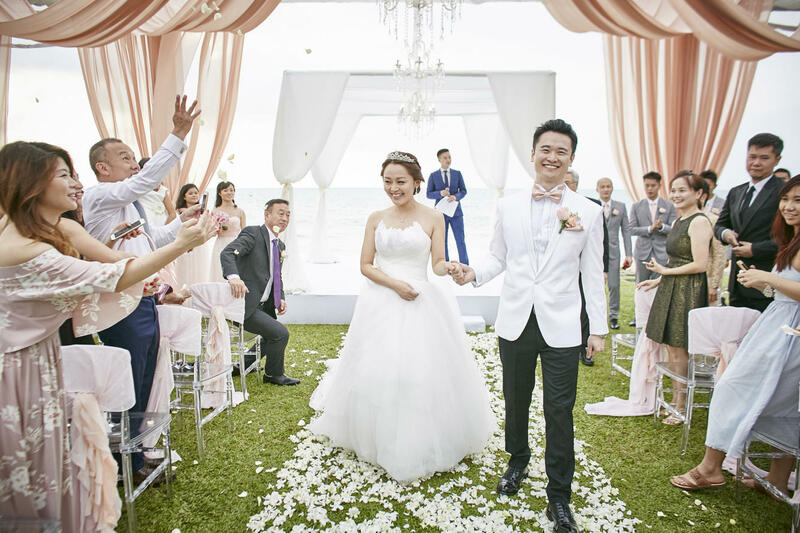 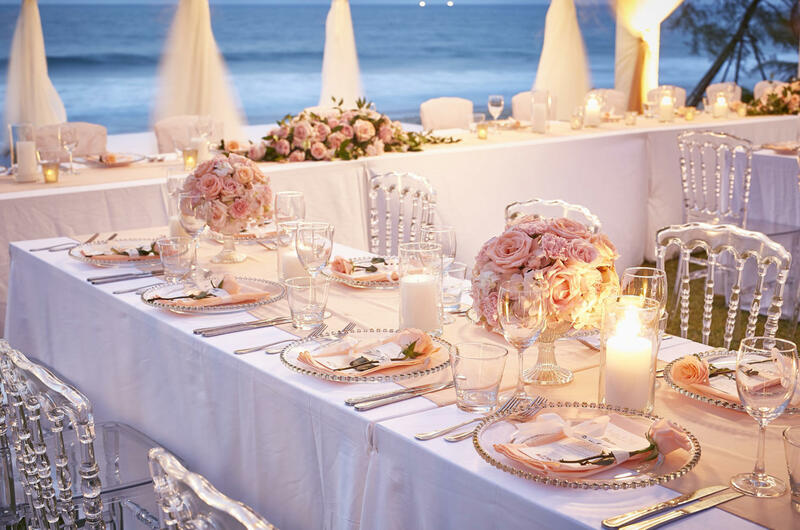 In their task for decoration, The Wedding Bliss Thailand said it focused on roses to enhance the garden atmosphere at the private villa where the wedding took place.